Rich, creamy and against all odds healthy, just a smear of this flavour-packed dip can transform any dish into something infinitely more delicious. 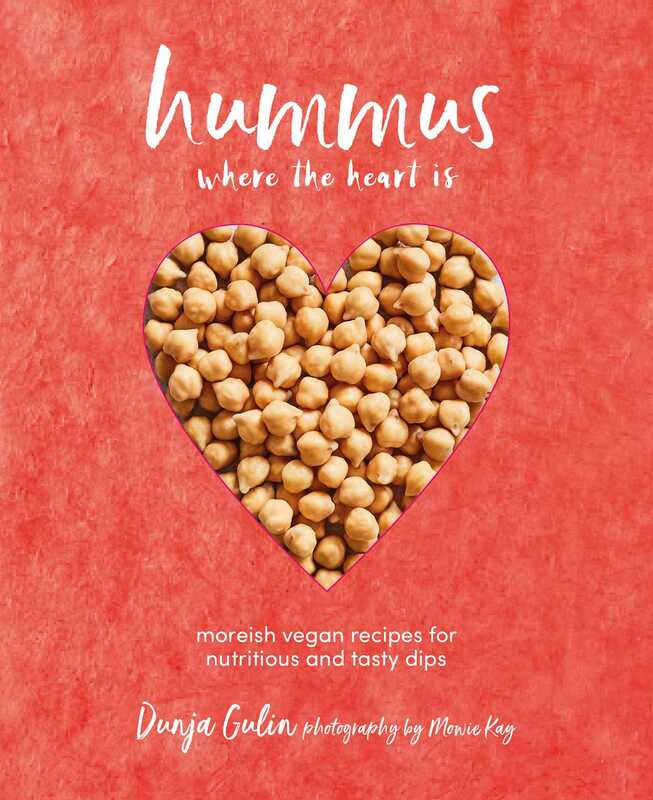 Hummus-lovers everywhere will be satiated with this book of over 65 inventive vegan hummus recipes. It’s the humble Eastern Mediterranean mezze dish that stole our hearts—who’d have thought a little bowl of smashed up chickpeas could taste like magic? Hummus has become an essential item for any modern well-stocked fridge, whether served as a dip with breadsticks, slathered on bread to give oomph to kebabs or sandwiches, or offered as part of a main meal in its own right. Homemade hummus is superior to store-bought in many ways: it is less sour, more intense in fresh flavors and inexpensive to put together. Here author Dunja Gulin shares her tips and tricks for making perfect homemade hummus, so that you can get the flavor balance and texture just right every time. The classic combination is usually chickpeas, lemon juice, garlic, and tahini—but this basic recipe is so versatile that it gratefully absorbs any flavor you can throw at it. Hummus Where the Heart Is includes such recipes as Onion Jam Hummus, Indonesian-style Hummus, a Baked Eggplant variety and a moreish Cashew and Avocado concoction. There is even a chapter of Dippers, which includes Chapatis, Pitta Breads, and Sesame Grissini, with chapters for Hummus Meals and even a daring Desserts section!